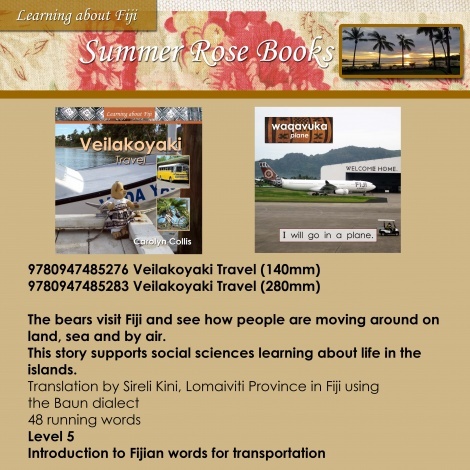 The bears visit Fiji and see how people are moving around on land, sea and by air. This story supports social sciences learning about life in the islands. This series provides a fun way for children to learn the Fijian language, build reading confidence and improve general knowledge.